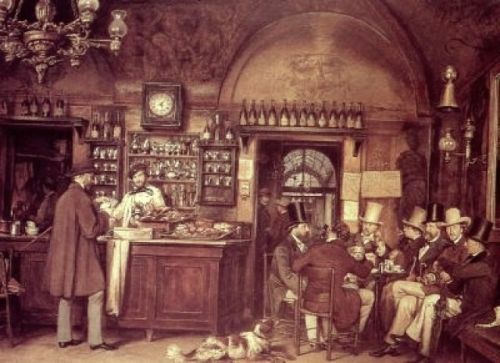 Once, actually not many years ago (before the advent of media), some people more or less talented used to meet in public or private places (often in a cafe) to share their ideas and projects. Maybe sitting around a table, while sipping a cup of coffee, they were kept informed about the work situation: the latest innovations, the current requests of the professional market and possible projects to be set up. a magazine, a web portal, a community, a blog, an open lab, …. We are the Meccanismo Complesso. This site is open to everyone. This site is only the place where we can interact. Certainly each of us has something to teach others. If you are a passionate person about his work activity or his hobby, i suppose that at least once in your life you felt the desire to cooperate, share, teach and learn at the same time, making experience in doing what you like best. This is just the place for you, if I tell you, believe me… ;). Sign up now and share your ideas, your experience. Send us an article and we will publish it. Do you have any suggestion to give? See here. Do you want to make a criticism? See here. ( Here criticism are welcome, but only it followed by a hint ( be constructive…). If you have always been interested in a particular topic and you want someone with more experience to help you? See here. Are you an expert? You may answer questions posed by other people. You could write an article on some subject already treated or suggest new ones. See here.